Combine Mayo, green on ion, sweet chili and Sriracha Sauce. 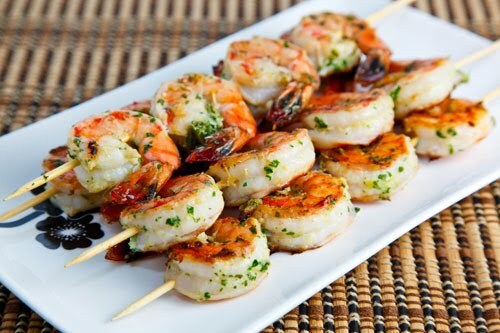 Skewer Shrimp on Soaked Wooden Skewers. Season with pepper and salt to taste. At this point, you can spray olive oil cooking spray on the skewers to prevent them sticking to the grill. Grill 3-4 minutes per side. Cook until pink is gone. Remove and immediately brush with sauce.